Fish Creek dairy farmer Graeme Nicoll has purchased the latest Hustler Super Comby feedout wagon in an attempt to simplify his operation. Reluctant to buy machinery, Nicoll – who had previously owned a Comby – wanted a product that could do multiple jobs but was also durable and simple. "I’m not a big fan of machinery, so I wanted a piece of machinery that would last and be simple, the first Comby proved that," Nicoll says. Due to Nicoll’s rolling South Gippsland terrain and the need to pass through many gates, he decided that a smaller wagon would be more appropriate for his property. "Our first Comby proved that we could feed square bales more than adequately if we had to buy them in dry times. 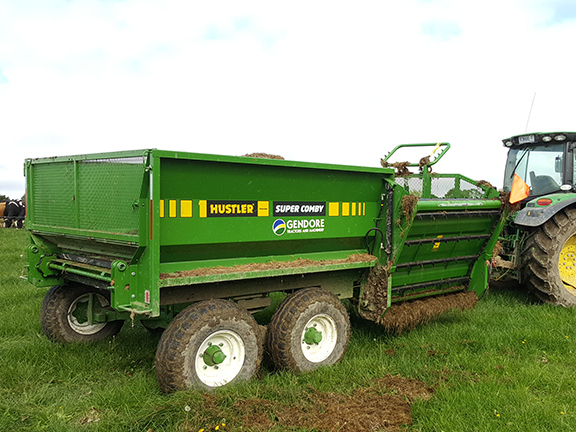 "The machine does a great job of feeding out chopped silage, but also means if we’ve got a few round bales we can throw them in the wagon and feed them out as well," he says. 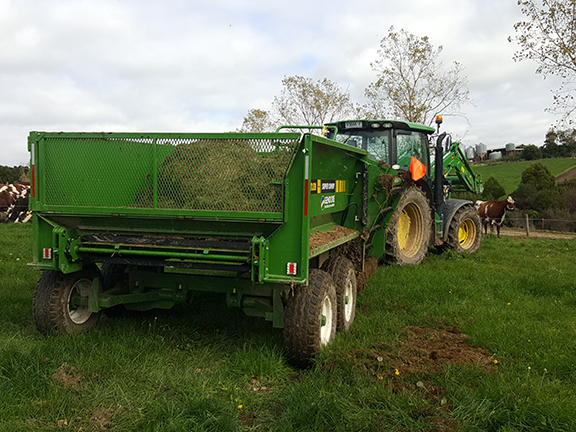 "The Comby might look small, but I kind of struggle calling it a smaller machine, because it fits enough silage in to do the job," Nicoll adds. The Super Comby’s low sides make for easier loading and its unique design gives the operator the ability to see the entire load from the tractor cab. Hustler equipment says its Comby feedout wagons are reliable, easy to use and versatile. Nicoll’s desire for machinery with multiple purposes proved to be the selling point for the Hustler Super Comby. This meant with just one Super Comby, Nicoll could replace a silage wagon and a feedout cart. "This machine means we only need one feedout machine on the farm," Nicoll says. He also says he rates the Hustler Super Comby because of its compact size. The Super Comby is 2750mm wide with an overall length of 5970mm while also capable of carrying three to four round bales. It has a tare weight of 2300kg.